Christmas jumper used to be an embarrassing present from your grandma – that will make it into your wardrobe out of your love for grandma rather than for purpose of someday wearing it. But this year they are certainly on fashion radar and is a MUST this Christmas season. 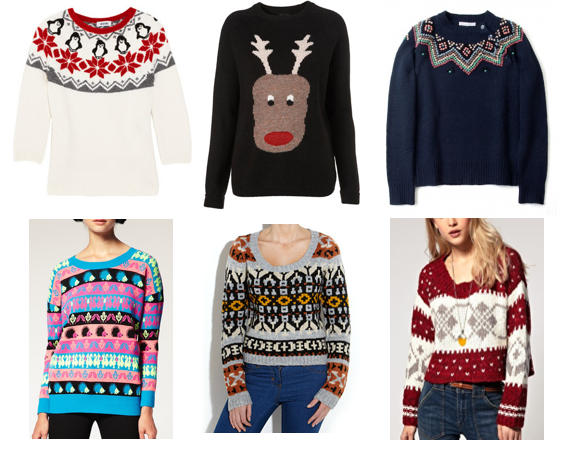 If you are still without a Christmas Jumper – don’t threat! I picked my favourite Christmas jumpers to suit all budgets – so you can do a last minute shop before a big day! Plus they are perfect as presents – and with big designer names they will no longer be at the back of the receiver’s wardrobe. You are currently browsing entries tagged with moschino at MY FASHION WISH LIST.